/ - Squirrel -Slip 2oz. The application of grease, WD-40, or petroleum jelly to bird feeder poles is toxic to wildlife. The application of grease, WD-40, or petroleum jelly to bird feeder poles is toxic to wildlife. 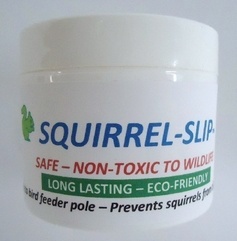 Squirrel-Slip is an eco-friendly, natural, safe, biodegradable product made from a blend of vegetable-based ingredients. 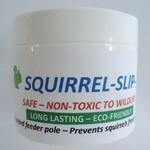 It is not harmful to birds, squirrels, or the environment and is effective in all types of weather. 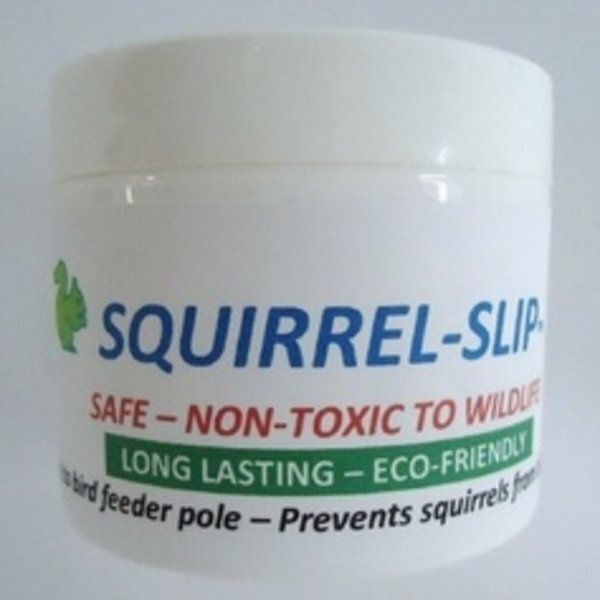 After applying Squirrel-Slip to feeder poles, squirrels get the surprise of their life. As soon as they jump onto the pole, they immediately lose their grip, slide down, and slip off. After a few more attempts, they simply give up and feed off the ground.